Montana officials are hoping to try a new, less expensive way to estimate the wolf population . . . In the span of a human lifetime, gray wolves have re-established their presence in Montana’s mountains and forests. Human settlers had driven most of the predators out by the early 1930s. But beginning in the 1970s, Endangered Species Act protections and re-introductions fostered a recovery. 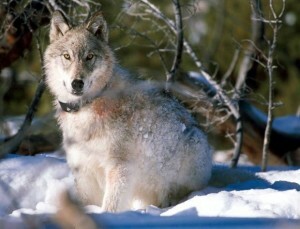 Montana’s wolf population has grown from about 50 confirmed animals in the 1990s to nearly 500 today. The recovery is often hailed as a success story for wildlife management. But now, the wolf population’s growth is making management tougher.